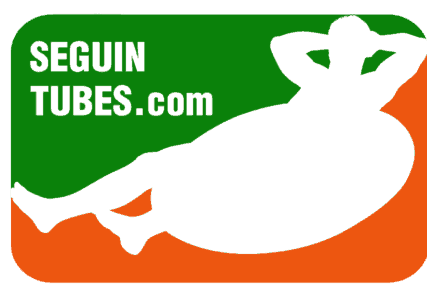 Seguin Tubing On The Guadalupe River! When you arrive, park in our free lot, and check in at the GREEN HOUSE. You will be issued a wristband for each person in your group, which allows you to use our return shuttle service. We’re located right on the water, just steps from the Max Starke Waterfalls. Just gear up, slather on some sunscreen, and hop in when you’re ready. You may float again if you like, at no additional charge. Before your second float, enjoy a packed lunch at our riverside picnic area, or grab a bite at the on site restaurant, overlooking the falls. At the end of your float, hop out at the designated exit and one of our continuously running shuttles will takes you back to the start. If you’re looking for an alternative to the New Braunfels Can Ban, you’ve found the right spot! There’s no can ban here, so pack your coolers and come Float with us. 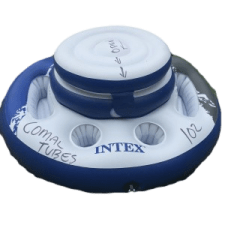 You’ll love Guadalupe Tubing in Seguin! Guadalupe Tubing in Seguin at its finest! We are the only outfitter on this stretch of the Guadalupe River, making it a perfect area for a quiet float. You wont see the massive crowds like the Canyon Lake Tubing area, or even a weekend on the Comal River. 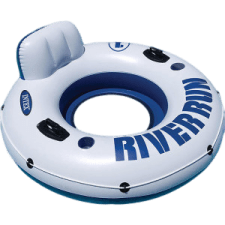 On this section of the Guadalupe River, the tubing conditions are great for families, and perfect for kids! 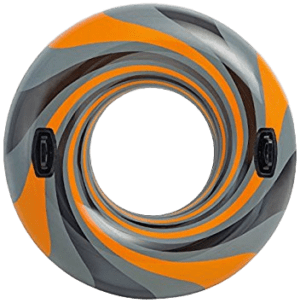 With an average depth of 3-4 ft, there’s no where to scrape the bottom, and you also won’t need to stand and carry your tube. Just calm flowing waters, so it’s sure to be fun for all. Or Gift Shop stocks everything you need to have a Fantastic Tubing Experience. Koozies, Sunscreen, Apparel, Sunglasses, Sunglass floats, Ice, Waterproof Boxes, Souvenirs, Shirts, Hats And More! Not to mention, the friendliest, most knowledgeable staff in town. RENTALS INCLUDE: RETURN SHUTTLE, TUBE AND FREE PARKING. Reservations Recommended for 20+ Call 830-624-3984 to book Groups. One person must pay for group to get group rates. Reservations Required for 20+ Call 830-624-3984 to book. The Float is very consistent. 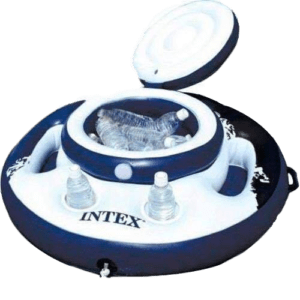 Great for Water Tubing, and peaceful! The most refreshing float EVER! These are live readings, they are updated every 30 seconds. 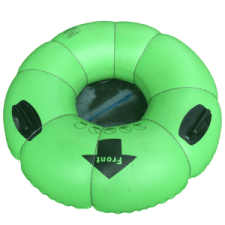 “Recreational,” Means Tubing is Good! “Challenging” means Be Careful! – Come float with us.